The next O, The Oprah Magazine Adventure of Your Life cruise will sail tropical Caribbean waters and you won’t want to miss it. This 7-day Ft. Lauderdale roundtrip cruise will feature special appearances by O editors and thought leaders from The SuperSoul 100. In addition, experience the transformative power of travel, enriched and enhanced by O, The Oprah Magazine-inspired activities such as morning meditation, O’s Reading Room, healthy eating guidance and travel-friendly fashion advice. Book your cruise today. Choose from these O, The Oprah Magazine Adventure of Your Life Cruises – with O-mazing events, activities and wisdom teachers to inspire you throughout your journey. King, who also will be on the sailing, said such Winfrey-inspired activities as morning meditation and stretching also would be on the agenda along with a behind-the-scenes look at O, The Oprah Magazine. “It’s actually on her bucket list, so she is very excited about this,” King said. 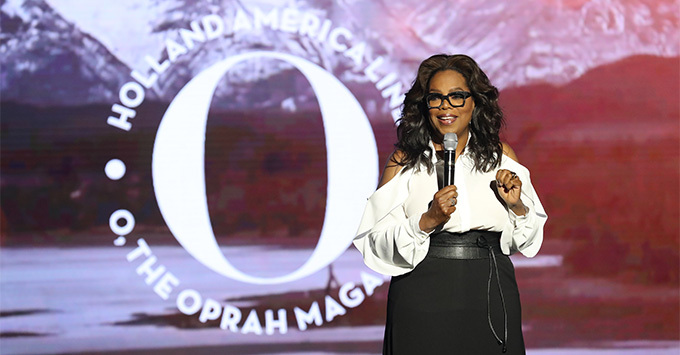 The partnership will bring four more magazine-themed cruises over the next two years that are being called O, The Oprah Magazine Adventure of Your Life sailings. In addition to magazine-inspired activities, the trips will be headlined by members of Winfrey’s SuperSoul 100, a list of authors, artists, entrepreneurs and other people Winfrey finds inspirational.